Today was a long day. 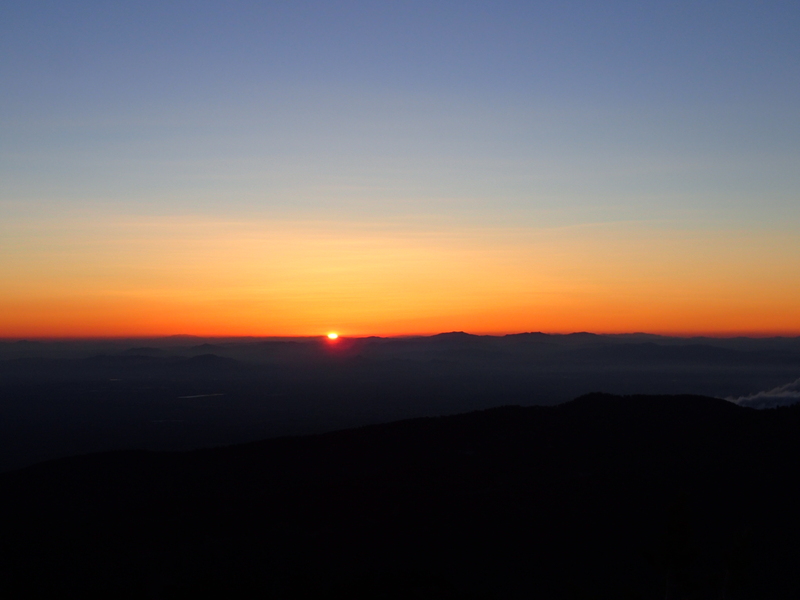 We woke up early to make the final mile to the summit of Baden-Powell for sunrise. I was awake by 4am. 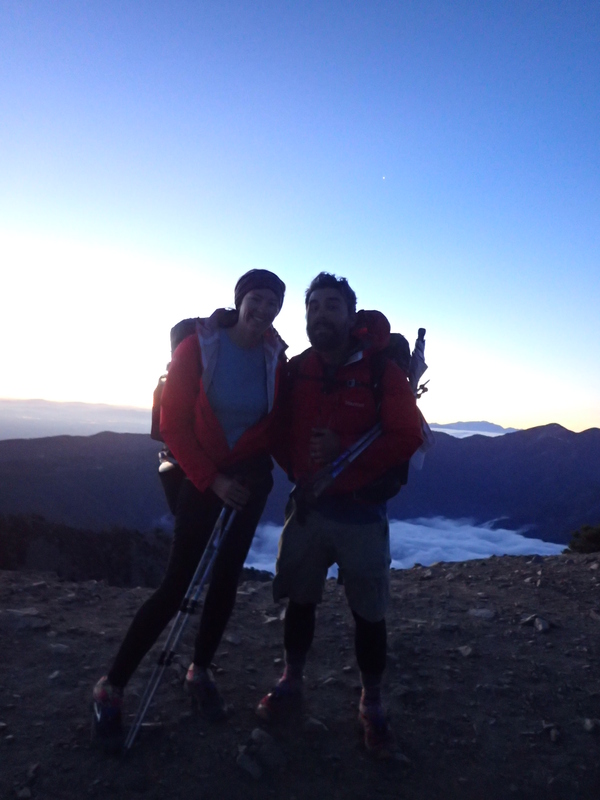 It was 20 switchbacks to the top, and sunrise was beautiful. It was windy and cold however, so we didn’t linger once the sun was up. We had a lot of ups and downs through the day, and had to do an alternate as part of the trail was closed to protect an endangered frog. The detour added just under a mile and included a road walk, but wasn’t too bad. I was tied by afternoon and wanted to take​ a nap, but mile 400 was calling. 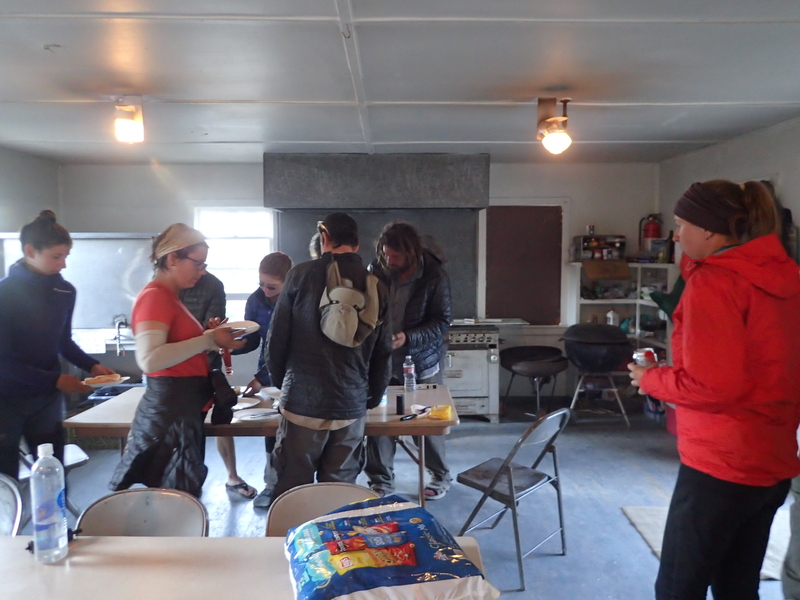 We knew there was a water source near a boy scout camp just past 400, and when we got here the caretakers offered us beer and burgers and told us we were welcome to camp here. Trail magic at the end of a long day is awesome! Many more hikers came through and decided to stay as well. We did 23.7 official trail miles today, though we actually hiked another mile or so including detours and side trips. It’s 8 pm and I’m ready for bed!